The word is out. The Mockingjay film will be released in two parts. From now on the films based off of Suzanne Collin’s popular series will be released like clockwork each year. 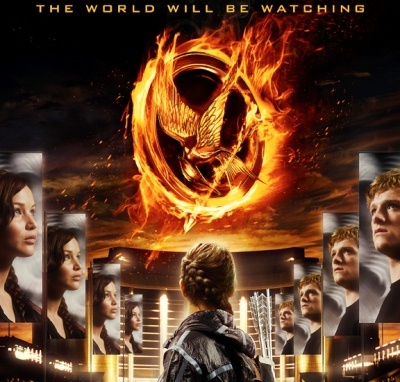 Catching Fire is expected to be released on November 22, 2013, while the others come out near the same day in the coming years. The cast is lined up as well. Familiar faces will be Jennifer Lawrence portraying Katniss Everdeen, Josh Hutcherson as Peeta Mellark and their surly mentor Haymitch played wonderfully by Woody Harrelson. The biggest newcomers and Katniss’s fellow tributes are Jena Malone from District Eight and Sam Claflin as Finnick Odair from District Four. Plutarch Heavensbee, the next Hunger Games Gamemaker will be played by Philip Seymour Hoffman. Mockingjay is named The Hunger Games: Mockingjay Part One and The Hunger Games: Mockingjay Part Two. It follows after the film adaptations of other popular novels Harry Potter and Twilight, both of whom took their final books and made them into two-part movies. Star actress Jennifer Lawrence is delighted by the double films, particular the promise of greater profits having told reporters that she thought, “Yacht, yacht, yacht. My own island.” And if they follow after the other two giant novel-turned-movie endeavors, Lawrence is likely to get all of it. Why are they splitting Mockingjay in two? Lionsgate Studios who is producing the films says that to really preserve the novel’s accuracy, extending the film to five hours was necessary. Lawrence added that she’d try to do Mockingjay justice in the extra hours the studio devotes to it. Certainly the page count is nearly identical to Hunger Games and Catching Fire. However, the final novel in the trilogy covers the greatest a greater span of time than Hunger Games and Catching Fire, in which Katniss moves among the districts and even into the heart of the Capitol, continuing the rebellion that was promised in the first novel. It’s up to the new director and Lionsgate Studios how they’ll pace this epic finale. The question remains of where the movie will be split. Though it has many parts and Collins wrote it as a trilogy, there’s no decisive part one, part two in the novel. Splitting it by page count would end the movie at a decidedly depressing place. The split may occur with the location changes, as Katniss moves beyond the relatively safe walls of her new home to inspire a nation. Much of Mockingjay is still in the makings, as Lionsgate searches for the next director for what’s sure to be a world shaking finale. Lionsgate Studios promises that every movie will entertain. And if Harry Potter and Twilight are any indication, the Hunger Games fans will be coming in droves to watch the annual Thanksgiving releases to the last minute.